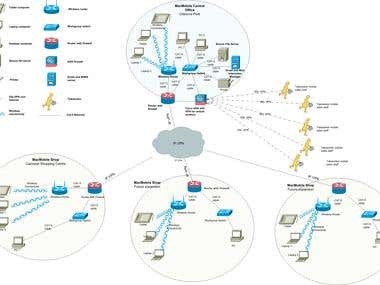 A Network Engineer having exposure towards Routing and Switching of Cisco and Huawei devices. 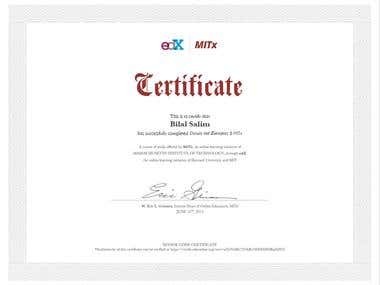 I have extended knowledge and hands on experience over various Networking technologies including: Routing Protocols: Static Routing, ISIS, EIGRP, OSPF, BGP, MPLS VPNs Switching Protocols: STP, VTP, ACL, Private VLANs, HSRP, VRRP Other Technologies: NAT, FTP, DNS Networking Tools: GNS3, Wireshark, Packet Tracer, eNSP, iPerf My expertise are to plan, design, implement, optimize and troubleshoot networks and have been working with huge telecom operators in my region over the years. I have excellent knowledge of the working and architecture of 2G/3G/4G networks. 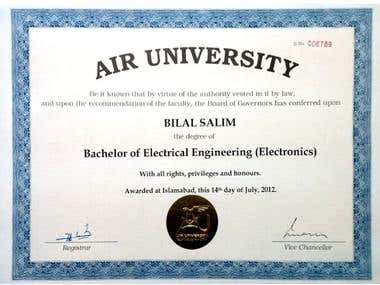 I have a Bachelors degree in Electronics Engineering and am certified for “Circuits and Electronics” from MIT, USA. I provide Networking consultations and extend my theoretical and practical skills to complete projects. You would always like to have me on your team to execute a project professionally and smoothly. Ufone is the third largest Mobile Network operator in Pakistan. I am working as a Senior Executive Engineer at IP Core Operations department and am also the Nationwide Team lead for my department. Huawei is a vendor that provides different telecommunication equipment. At Huawei I worked as a Datacom Engineer, where I was responsible to deliver projects related to IP Core (Routers, Switches and Firewalls). I was responsible for many major projects including, Ufone 3G Swap, Mobilink 3G Swap, PTCL MetroEthernet, PTCL 4G and Telenor 3G Trial. 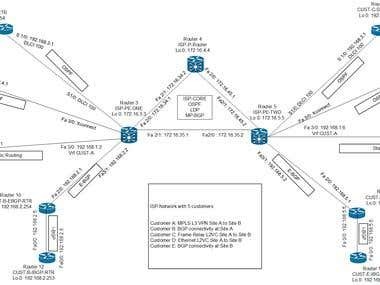 My job was to plan, integrate, cutover and troubleshoot Huawei IP Core Devices (Huawei NE40E, S9300, E8000E) and provide support to other teams. Nayatel is an Internet service provider specializing in providing high speed Internet and VPN services over its fiber optic and DSL network. 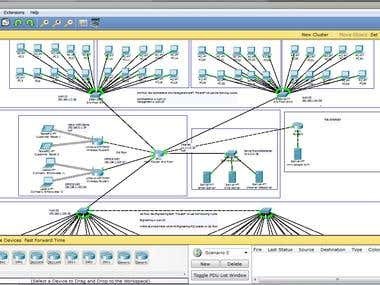 I worked as an Operations Engineer, where my responsibility was to provide Level 2 support to IP Core related issues to its Customers. Higher Education Commission Pakistan provides internet to the recognized Universities of Pakistan, the project is named PERN (Pakistan Education & Research Network) I was responsible for monitoring and reporting the Network related issues. 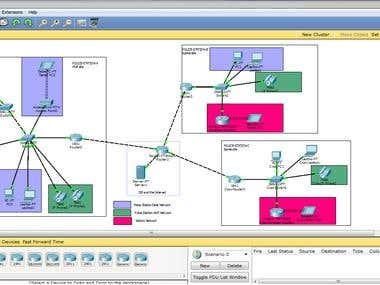 While I was responsible for supporting Network Administrators to configure their Internet and Intranet Infrastructures. 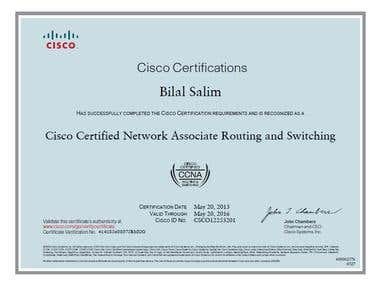 Cisco Certified Network Professional (CCNP) Routing and Switching certification validates the ability to plan, implement, verify and troubleshoot local and wide-area enterprise networks and work collaboratively with specialists on advanced security, voice, wireless and video solutions. The course introduces engineering in the context of the lumped circuit abstraction. Topics covered include: resistive elements and networks; independent and dependent sources; switches and MOS transistors; digital abstraction; amplifiers; energy storage elements; dynamics of first- and second-order networks; design in the time and frequency domains; and analog and digital circuits and applications. Design and lab exercises are also significant components of the course. 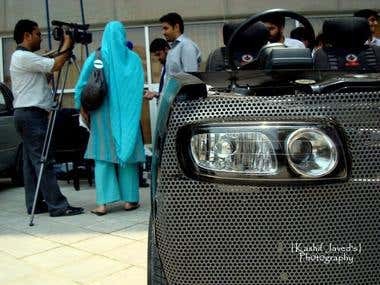 A successful project was carried out on the designing and fabrication of a Hybrid Car that gave fuel efficiency using a new operational design. 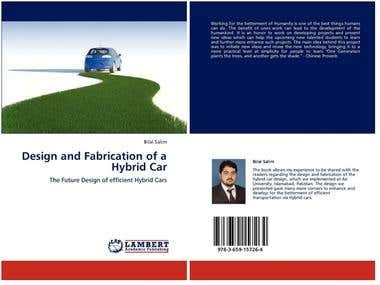 A book was also published explaining the making, working, benefits and future advancements to this project.